Congratulations to DiS mailing list subscriber @RobMcCracken who has won our massive @NaimAudio @MercuryPrize give away. Congrats to our runners up @Antpocalypsenow @dansmythphoto @traveledpaper @peterjayadams @J4PE5 ...who correctly guessed Young Fathers! We have a complete set of this year's Barclaycard Mercury Prize nominated albums and a Naim mu-so to give away. What's that you say? mu-so is the first wireless music system from Naim Audio, the British brand behind some of the best hi-fi and home audio gear in the world. Finely tuned by their specialist engineers in England, its powerful audio brain delivers the most exceptional quality in sound, commanding 450 watts of power through six custom-designed speakers to create an experience of music that has to be heard to be believed. 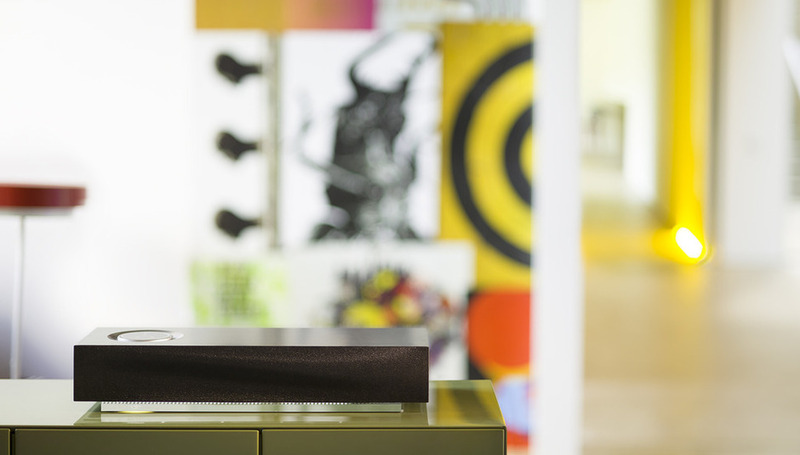 It’s advanced yet simple to use connectivity includes AirPlay, UPnP streaming, Spotify Connect, Bluetooth (aptX), iRadio, iOS and Android app control and multiroom capability. Kate Tempest Everybody Down 12"
For runners up we have 4 copies of East India Youth's Total Strife Forever on CD and two pairs of cinema tickets to watch one of the films Naim Audio are previewing at their mu-so film event. On October 30th our editor will select will contact the winner and runners up who joined the mailing list or correctly guessed this year's Barclaycard Mercury Prize winner. Good luck! The current odds from William Hill of who they think will win the Mercury Prize 2014 are: 5/2 Kate Tempest, 11/4 FKA twigs, 9/2 Royal Blood, 9/1 East India Youth, 9/1 Jungle, 10/1 Nick Mulvey, 12/1 Damon Albarn, 14/1 Bombay Bicycle Club, 14/1 Young Fathers, 16/1 Anna Calvi, 20/1 GoGo Penguin, and 25/1 Polar Bear. According to streaming service Napster, the following artists have seen percentage increases in plays: GoGo Penguin - V2.0 4127%, Young Fathers - Dead 2267%, Polar Bear - In Each and Every One 1929%, East India Youth - Total Strife Forever 627%, Kate Tempest - Everybody Down 563%, Anna Calvi - One Breath 550%, Nick Mulvey -First Mind 88%, Damon Albarn - Everyday Robots 35%, Royal Blood - Royal Blood 19%, Jungle - Jungle 18%, FKA twigs - Lp1 10% and Bombay Bicycle Club - So Long, See You Tomorrow 7%.